From sports cars to grand tourers, the new Aston Martin range is a luxurious selection of cars that embody design and engineering excellence. At Aston Martin Newcastle, we offer the full new Aston Martin range, from the sporty V8 Vantage S to the flagship Vanquish S. Each of these models exude the class and quality you’d expect from a brand new Aston Martin, while offering a truly magnificent driving experience. Whether your heart is set on an agile sports car or a grand tourer, the new Aston Martin range can deliver. The British manufacturer has begun its ‘Second Century Plan’ with the bedazzling DB11, and there are many new, exciting models to come. While a new Aston Martin immediately gives you the luxury of a highly capable car, some may wish to make their’s truly their own. The Q by Aston Martin programme allows you the freedom to transform your new Aston Martin into something completely personal to you. As the ‘Ultimate Bespoke Option’, the Q programme is Aston Martin’s unique personalisation service that sees you able to choose everything from materials, colours and textures - inside and outside of your new car. 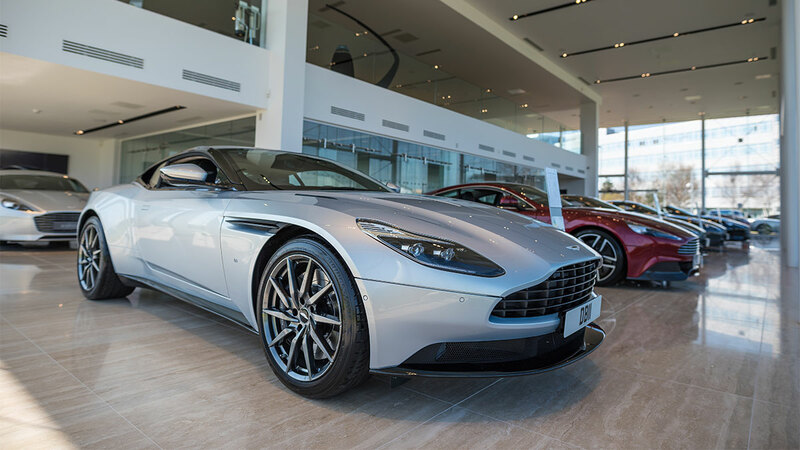 Those wishing to finance their new Aston Martin will not only find a selection of great offers on various models, but our Sales Executives will be able to personalise a finance package based on your needs. We would also be happy to consider any car you are looking at part exchanging for a new Aston Martin, and we can give a initial valuation for your vehicle before going ahead with any purchase. These cookies allow us to understand general customer behaviour and t rack where you have visited from, which allows us to monitor the success of our marketing campaigns.